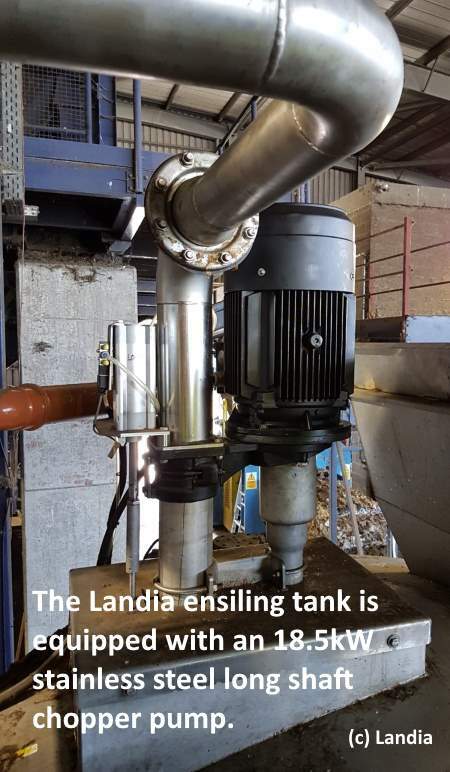 A Landia (Animal By-products Approved) ABP pasteurizer has been installed for the Highlands and Islands Council in Scotland by Landia, which has been instrumental in enabling greatly improved fish waste management through their existing Anaerobic Digestion Plant. 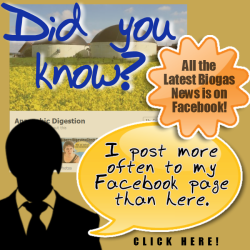 The following Press Release recounts how installing the Landia ABP pasteurizer rescued the Council from a “chicken-and-egg” type of predicament and has unleashed a chain of environment and economic benefits to this innovating island community. Read on to find out how the Isle of Lewis is overcoming multiple obstacles to lead by example. 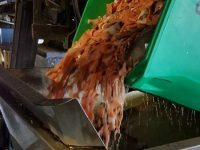 Not content with being at the thin end of the wedge, the Isle of Lewis is leading by example with its Creed Integrated Waste Management Facility (IWMF), located just outside Stornoway. Owned and operated by Comhairle nan Eilean Siar (CnES), the Local Authority for the Western Isles, the manager and his team at this progressive plant believe firmly in continuous improvement, minimising, maximising and optimising the methods of managing waste from the island’s population of approximately 22,000. Undeterred by the challenges of a limited electrical grid and logistical costs typically associated with island life, the Creed IWMF has grown steadily to include a combined heat and power plant (CHP), electric boiler and thermal store, a wind turbine and a hydrogen system comprising electrolyzer, storage and refuelling station, and a 960m3 anaerobic digester (AD) plant. “Thankfully, when we were able to bring in our new thermal store, together with getting the guarantee from the fish industry, we were able to go ahead. We are a local authority of course – not at a commercial enterprise, so we can’t go ahead with quick purchases. We have to continuously adapt”. 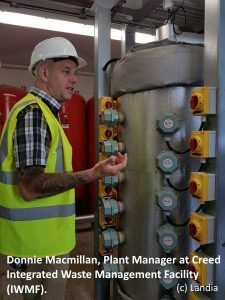 “We spent a long time looking at different ABP-approved pasteurizers and had the benefit of seeing working sites where we were given warts and all about equipment performance, reliability of suppliers, back-up and importantly, lessons learned from mistakes made. Eventually we went for Landia, who we never heard anything bad about – and who were keen from day-one to help us achieve our goals and tailor the unit to meet our needs”. “The late Hugh Vaughan (from Landia) had no hesitation in coming up here to measure everything out. He was determined to make it work. We needed an ensiling tank, which effectively is a buffer/pre-treatment tank. With the space restrictions, Landia were able to provide a 10m3 unit, which sits just in front of the 8m3 ABP pasteurizer. It was a very tight fit, but it worked”. The ensiling tank is equipped with an 18.5kW stainless steel long shaft chopper pump, which recirculates and blends the salmon waste (mainly left-overs from the filleting process) into a smooth purée, before being discharged into the ABP pasteurizer – fitted with Landia’s side-entry propeller mixer and dry-installed chopper pump. The one-hour (minimum) process at 70 degrees C meets ABP (Animal By-Products) regulations, and is fully approved by vets. “We’d made a commitment to the salmon industry – and unless we could keep our promise, it’d mean a big financial burden. The Landia guys worked flat out from start to finish. There was no wriggle room, but they skidded everything in and nailed it, first time”. Prior to its arrival in Stornoway, Landia had assembled the units, tested every nut and bolt – and ran a trial process with water. The ensiling tank, ABP pasteurizer and Landia personnel then left Shropshire early on a Sunday morning – with installation on the Isle of Lewis commencing 24 hours later. The ABP pasteurized fish waste – a 7 cubic ton batch per shift – is now integrated with household food waste and garden waste for Creed’s anaerobic digestion process, making a positive environmental and economic impact by not sending it to landfill or having it transported off the island. “The APHA (Animal & Plant Health Agency) take samples every quarter and we collect our own samples every month to make sure we’re free from E. coli, salmonella and pathogens. We run a tight ship. We’ve never failed a sample. 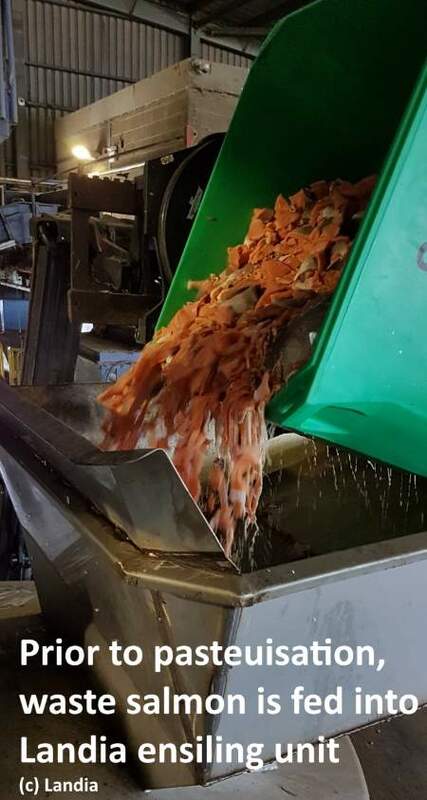 I know we’re dealing with salmon waste, but it is a very tactile operation. We keep a very close eye on everything, peering through the hatches, always learning”. Some of the electricity generated by the CHP is sent to a hydrogen system to produce hydrogen and oxygen. This is captured, compressed and delivered to the salmon hatchery. Oxygenation is essential to aquaculture, and hydrogen is used in a small fuel cell to provide electricity to the remote site, which sometimes suffers from failures of the electrical network. Back-ups have traditionally been in the form of ageing diesel generators, with associated higher CO2 emissions and delivery costs. 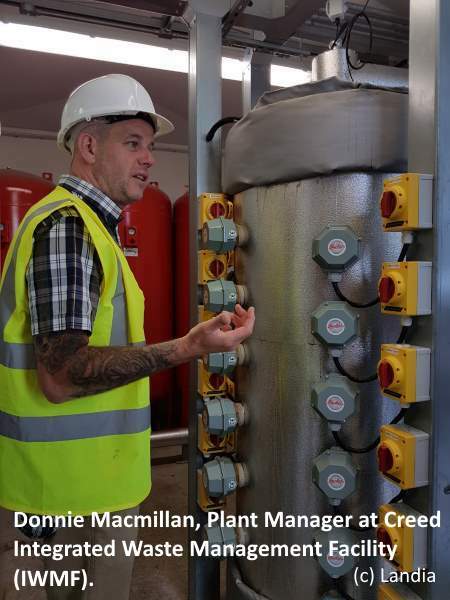 The hydrogen system at Creed includes a refuelling station, and some of the hydrogen will soon be used to refill a dual-fuel Refuse Collection Vehicle (RCV) operating on hydrogen/diesel. Click here to view this on YouTube. “Sometimes we need a steer. We didn’t want to work with a company who would wash their hands of us the second they got their cheque. Landia actually have all the data on their system, so they can check on performance. 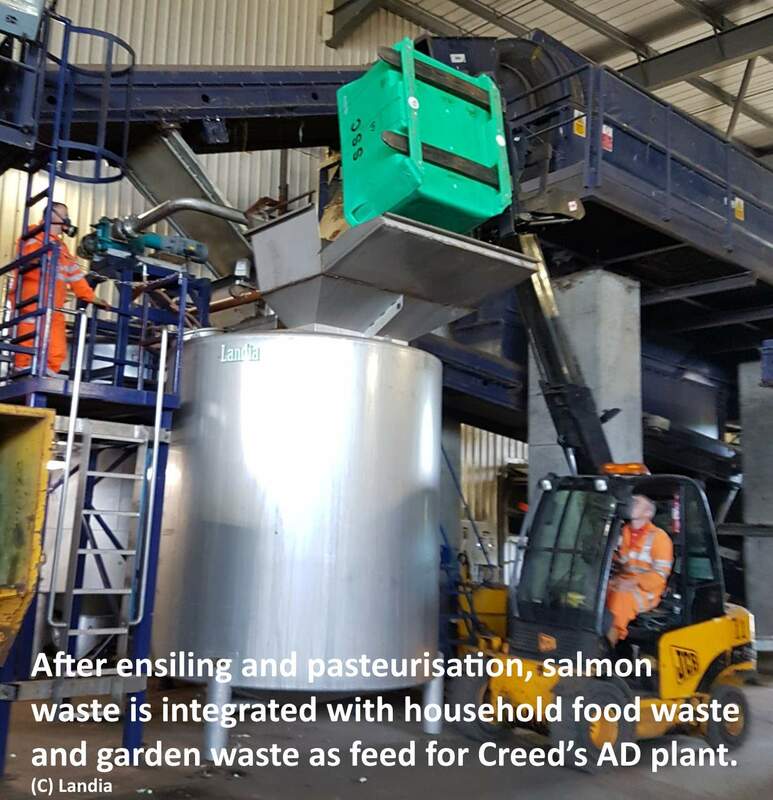 We received training and have always had very good support and technical back up – and we have the potential to take in more salmon waste in the future”.